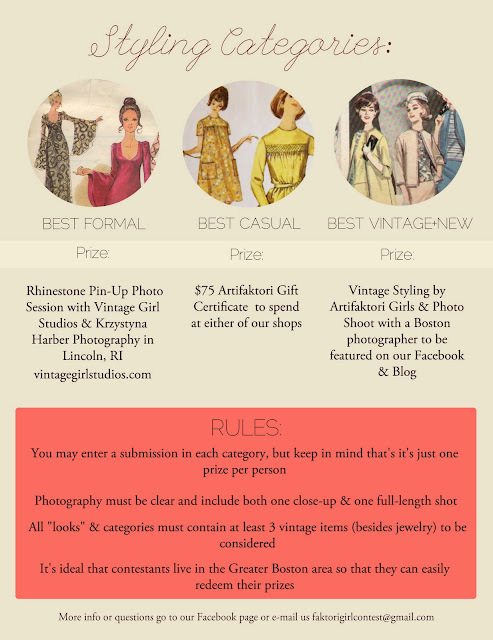 with only a few days left I decided to enter into a vintage styling contest to be artifaktori girl! I love going into the shop and rummaging through all of the vintage treasures, I am definitely due for a visit. there are three looks you can choose from: best formal, best casual, and best vintage-new. although there is one winner for each prize I decided to style a look for all three. Can't wait to post the pics, a winner will be chosen the first week of February.